Mohamed Salah should “hands down” by the recipient of the 2018 FIFA Best Award, says Hany Ramzy, with the Liverpool forward offering more than Cristiano Ronaldo and Luka Modric. The Egypt international, who netted 44 times across all competitions last season, is set to discover on Monday whether he will be handed the title of the finest player on the planet. Portuguese superstar Ronaldo has claimed The Best gong in each of the past two seasons, with the 33-year-old seeking to complete another notable hat-trick after swapping life at Real Madrid for that at Juventus. Current Blancos star Modric, who claimed the Golden Ball at the 2018 World Cup, has edged out the likes of Lionel Messi and Kylian Mbappe to also come into the mix, but Ramzy believes his fellow countryman is the obvious choice to see his achievements recognised. Egypt’s assistant manager told The Sun: “The reason why I think Salah should win the award is because of the journey he has taken to achieve what he has . “To come back to England after his disappointment with Chelsea and become the Premier League’s top scorer, as well as reach the Champions League final and lead his country to the World Cup for the first time in 28 years, is something unheard of. “Furthermore, if FIFA were to look at the big picture and consider the hardships and culture barriers each player had to endure in the course of his career to reach this level, then Salah must win hands down. Salah did see his 2017-18 campaign end on a low as he suffered an unfortunate injury in the Champions League final, with a shoulder problem preventing him from making the expected impact on a World Cup stage. Ramzy is, however, convinced that his standing in his homeland, and around the world, makes him deserving of the most prestigious of personal prizes. He added: “Mohamed Salah is now considered a real icon in Egypt and the whole of the Arab world. “He is a true ambassador for Arabic people, a young man with huge ambition who is achieving his goals whilst winning over the hearts of so many people around the world with his exemplary behaviour on and off the pitch. 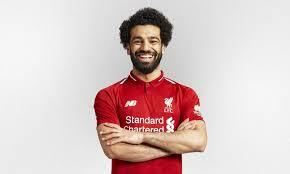 “I think nobody in Egypt ever imagined that we would have a player in the top three in world football or a player that would win the best player and Golden Boot of the Premier League . Salah, after a rare barren run through three games, was back among the goals on Saturday as Liverpool preserved their 100 per cent record in 2018-19 with a 3-0 victory over Southampton.